Provides a solid understanding of the basics of trading and the Futures and Forex markets. Teaches the necessary comprehension of the markets, and places special emphasis on risk management and technical trading. Use a simulator to test your trading strategies on live market data without risking any real money. Education starts from the basics, and that means starting from zero. Trading Futures and Forex can be a daunting endeavor, nobody should approach it without proper training, and that’s what we commit to provide you at Earn2Trade. We offer two packages geared towards people of different skill levels. Our first package — Beginner Crash Course — is for someone interested in learning Futures and Forex trading. It contains our full Fundamental and Advanced level courses. Our second package — Bootcamp — is for traders who want to learn to day trade and take their skills to the next level. 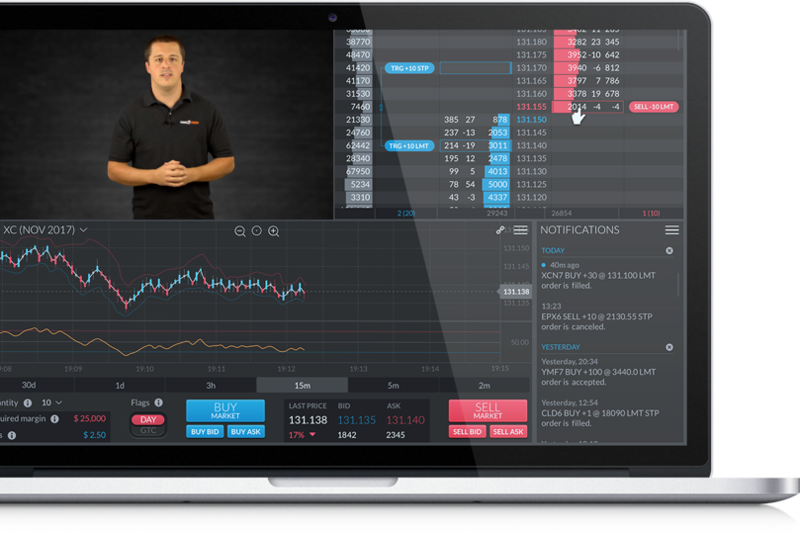 You can practice trading in real market conditions on the Trading Simulator and get up-to-date information through our supplemental videos, webinars and personally tailored mentoring sessions. Once you feel content with your knowledge and experience, you can challenge yourself on our in house exam, The Gauntlet™. A successful pass puts you on the shortlist of our proprietary trading partners - and on your way to becoming a professional trader. Regardless of what level you are at in your training, education is a lifelong process. At Earn2Trade, we’ve designed the courses to get you from wherever you are to exactly where you want to be. Our professional mentors are all traders who have passed their Series 34 and Series 3 examinations. Whenever you need extra help with your education, you can book a time with one of our Mentors to go over any topic you choose. Our Mentors are dedicated to your success and stand by to provide you with expert guidance.Whenever you need extra help with your education, you can book a time with one of our Mentors to go over any financial topic you choose. Our Mentors are dedicated to your success and stand by to provide you with expert guidance.